Ref. 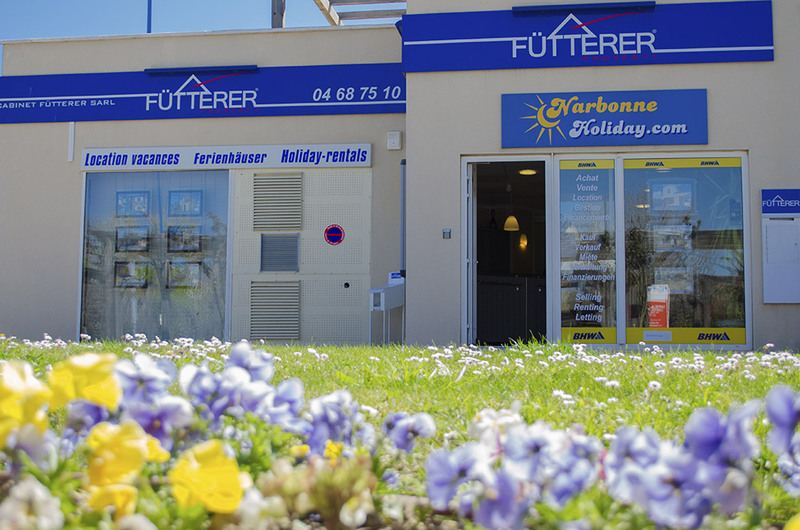 2875 - Fütterer Property presents in Gruissan - Les Ayguades: In an exceptional setting, ideally located between Massif de la Clape and the Mediterranean, near the lagoon and less than one kilometer from the beach, let yourself be seduced by this mezzanine-style studio lodge. In very good condition, the property has the advantage of being sold fully furnished. The veranda converted into a fully equipped kitchen has all the necessary appliances (combined Trio-hob, oven, dishwasher - to save space, microwave, fridge freezer ...) and also allows you to create a dining area for your meals. Ceiling of the veranda arranged for more storage. The veranda then gives on the stay modified in room to allow more beds with a large double bed. The shower room consists of a beautiful modern walk-in shower and separate WC. Upstairs, the mezzanine is spacious enough to accommodate a double bed, a single bed and storage cupboards. Finally, a nice outside without vis-à-vis. The pavilion also offers great benefits with reversible air conditioning, double glazing, electric shutters for the veranda, an electric velux on the side of the mezzanine for more brightness. All the necessary comfort is present to be directly inhabited. Located 10 minutes walk from the sea and 5 kilometers from the marina, it will be easy to get there by taking the flat and secure cycle path, which runs along the massif of Clape. Subject to the status of the condominium - Charges of condominiums : 567.28 €/year - Co-ownership of 561 lots (including 311 main lots).